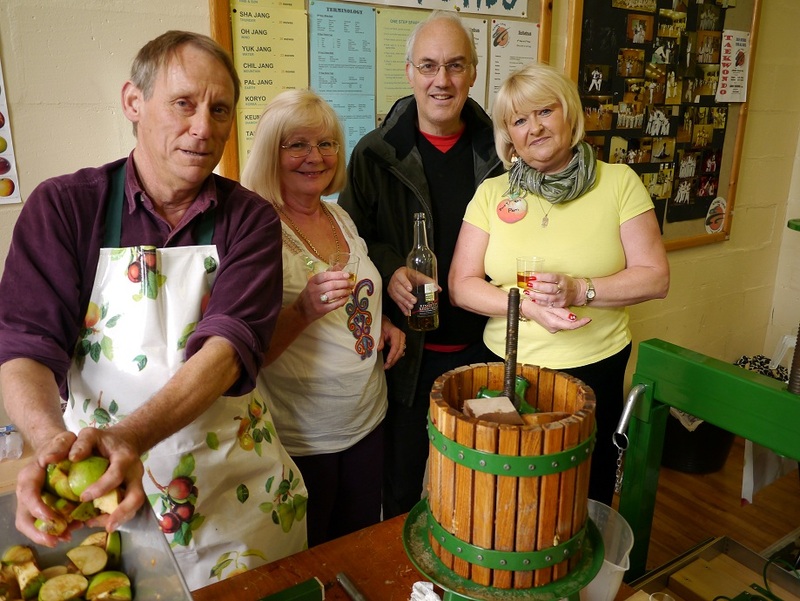 Took some of last year’s cider to Lowdham Apple Day on Sunday 21st Oct. One bottle of still cider, and one of sparkling. The sparkling was lively and both were very dry, but most people managed to say something nice about them. As a contrast someone from Much Markle was selling real perry and cider. Wow! The real stuff, made with a proper blend of cider apples is quite different from the mass market bottles, and quite different again from what I make with whatever apples are to hand. Adrian Baggaley (click here) was there with his “juicy girls” pressing all sorts of varieties to make apple juice. Here we all are.